Big data is here to stay and can only benefit your business. 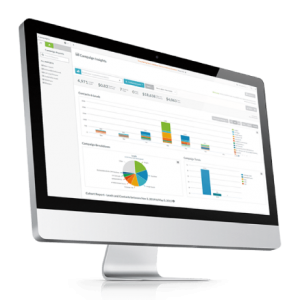 Sharpspring offers important insights and overviews, with all your marketing data sitting in one place. It offers you the ability to base your decisions on existing performances and results, which means better decision-making, which would then lead to better results. Deliver the right content at the right time. Use dynamic lists to segment your user base in real time. Smart automation will enable your to fire off journeys based on a variety of triggers. This is not one of those products. Sharpspring comes fully loaded with all the tools expected from a marketing automation product: email marketing, customer relationship management (CRM), sales and lead Management, lead scoring, to name but a few. You may already have your own established CRM and database tools. One of the big benefits of SharpSpring is that it integrates very nicely with third-party applications. Create and manage sales opportunities easily. Create customised pipelines and add your own products. It is easy to use and very visual. Reporting ensures consistent improvement. The ability to group your clients.